70% of Xavier students participate in our recreational sport options. From fitness classes, to intramurals, to club sports, we have the program for you. 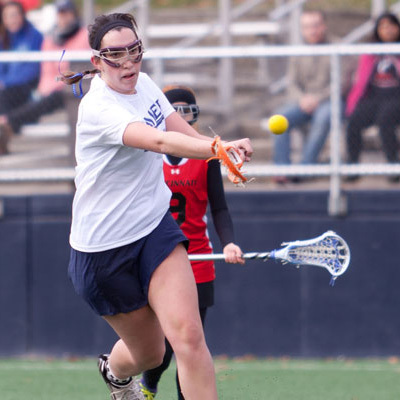 The Club Sports program is designed to serve the interests of Xavier University by providing opportunities for Xavier University students, faculty and staff to continue participating or learn a new sport/recreational activity. While Club Sports fall on a competitive level between intramurals and intercollegiate athletics, the member's involvement in the Clubs is structured to be a learning experience for the members through their involvement in the organization and administration of club activities as well as the development of sports skills. There are 26 active sport clubs totaling over 660 members. The teams compete against other club teams from universities throughout the Midwest such as Indiana University, University of Kentucky, Ohio State University, Miami of Ohio and the University of Cincinnati. 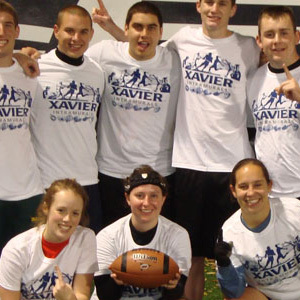 Xavier University Intramural Sports offers a fun, yet competitive way for students to interact. 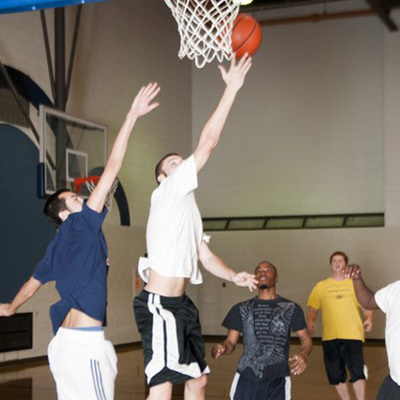 There are many intramural sports leagues, tournaments, and special events offered during the school year for students interested in men's, women's, and coed activities. The sports offer a level of competitiveness between students that is also just a way of having fun. The Recreational Sports Department schedules over 11,000 hours of programming each year and offers drop-in basketball and pool access. The Xavier Fitness program incorporates group exercise classes and personal training. The group exercise program is open to all students and runs throughout the academic year, offering free classes in yoga, barre, zumba and more. Classes assist students with stress relief, as well as healthy life habits.